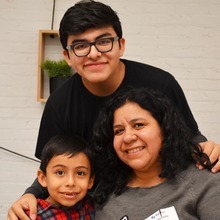 For the third year, CancerCare, in partnership with Flatiron Health, hosted a fun-filled Winter Wonderland Holiday Party. The party was open to all of CancerCare’s clients, including families, adults and caregivers affected by cancer. Flatiron Health graciously hosted 120+ children, adults and staff members in their office space in the Soho neighborhood of New York City. 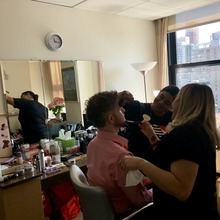 On Wednesday, May 2, four makeup artists from Sephora’s Herald Square store visited CancerCare’s National Office to offer complementary consultations to people with cancer and their loved ones. CancerCare, in partnership with LUNGevity Foundation, is interested in understanding the burden of financial toxicity associated with lung cancer diagnosis and treatment. Triple negative breast cancer (TNBC) is a breast cancer subtype, which is found in 10-20% of all breast cancer diagnoses each year. The name originates from tumors found in the breast that are estrogen receptor-negative, progesterone receptor-negative, and human epidermal growth factor receptor 2-negative. In other words, TNBC tumors do not exhibit any of these three receptors. 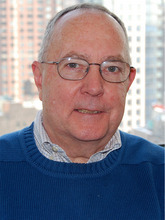 Although these tumors do not respond to receptor-specific treatments, they are typically responsive to chemotherapy. We Challenge You! 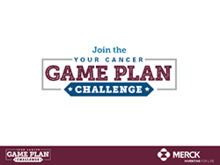 Join CancerCare and the Your Cancer Game Plan Challenge! CancerCare is grateful for our partnership with Hines Property Management. 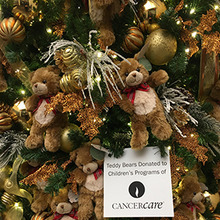 The New York City office of the global real estate company recently donated funds and teddy bears to CancerCare during the holiday season. For the fifth consecutive year, Caribou Coffee partnered with CancerCare, donating 10% of all October coffee bean sales and Amy’s merchandise proceeds to CancerCare. 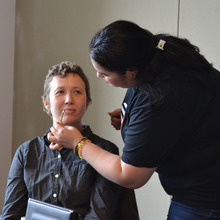 CancerCare recently partnered with Sephora to bring a Brave Beauty in the Face of Cancer class to our clients. Drink Up! 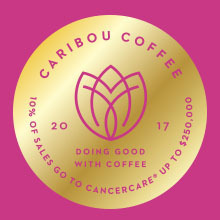 10 Percent of Caribou Coffee Purchases Benefit CancerCare! Now through October 31, 2017, Caribou Coffee will donate 10 percent of Amy’s Blend purchases to CancerCare.